Arp 276 consists of NGC 935 (UGC 1937, VV 238/a and others), the spiral at the center and IC 1801 (UGC 1936, VV 238b and others), the spiral above. 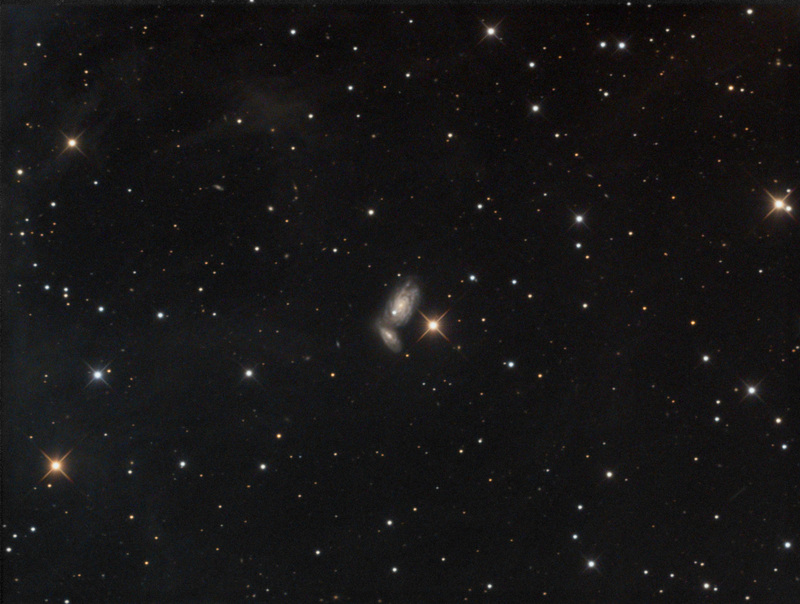 Part of Arp’s ‘Double Galaxies – Interacting’ class, both are located approximately 181 million light-years away in dusty Aries. Imaged January 4th, 8th, 23rd and 24th, 2019 from Dark Sky New Mexico at Rancho Hidalgo (Animas, New Mexico) with a SBIG STF-8300M on an Astro-Tech AT12RCT at f/8 2432mm.